We are almost at the end of March and finally tasty news is arriving MTG: Arena. 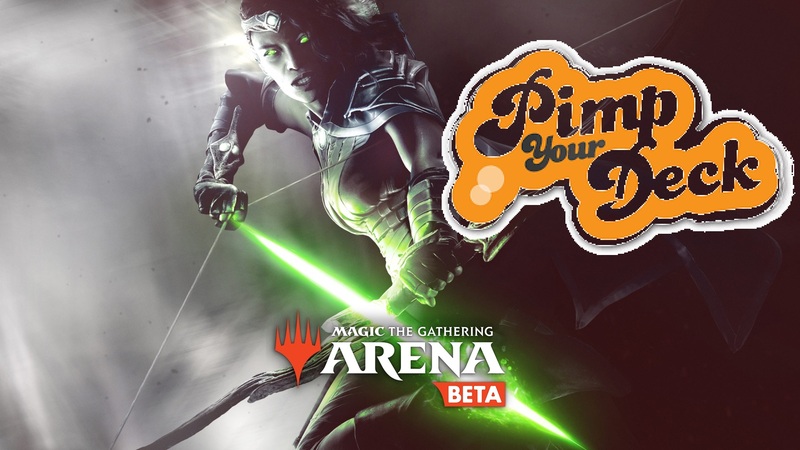 Needless to stay around, the players of Magic they are mentally ill, especially when it comes to "pimp"Your own deck. And to meet this "disease”Which is spreading among many players, they will arrive soon MTG: Arena Alternative Art for the cards in our collection. The mixture of parallax effect and the extended artwork, makes these Alternative Art a little gem. Each card will have its own acquisition method that can be consulted in the deck builder: you go from buying some bundles (I already start seeing the wagons of money at home WotC) for seasonal rewards, but also for simply playing. Once you have unlocked an alternative illustration for a card, you can only change it for that exact illustration. This means that if there are cards with different illustrations, you will be able to apply the different style only to the one that you have actually unlocked. It will also be possible to acquire Alternative Art for cards not yet in your collection: in this case you must specify that you will not receive any copy of the card in question which will then be exchanged for wildcards, de-ribboned or received as a reward. Obviously it will be possible to activate or deactivate the different card style at any time. Rule No. 1 of Magic: never play without protective bags. They should write it over every package on sale because over the years I have seen hundreds of Double Lands (and even much more expensive papers, including several P9) completely ruined by the wear and tear due to the lack of protective bags. With time, in addition to having to protect the cards, even the protective bags began to become an additional aesthetic element to show off on the table and it is in this capacity that it appears on MTG: Arena. Once you have acquired a type of protective sachet you can apply it to any deck and you can use different protective bags for different decks. Here too it is possible to activate or deactivate the option directly from the deck builder. Soon new avatars will be available to choose from, although they will cost you gold or even gems to be unlocked (a choice that I do not find very well, I would have preferred were just rewards for game consistency or results). To celebrate the March update and the upcoming Mythic Invitational, there will be a new Constructed event called precisely Constructed Treasure. The special rule of this event is that with each upkeep we will create a treasure artifact token that can be sacrificed to get one mana of any color. The event will be completely free (so no expense of gems or gold to enter) and may have as Alternative Rewards of Skewer the Critics e Chemister's Insight . The event will start on 29 March, so get yourself ready and fight! The rules of Magic they are not as complicated as they seem, especially if you think of a few years ago with the concepts of Mana Burn and damage on the stack. But learn to play at Magic it does not mean knowing just how to plug the lands to give mana or to know what evocation weakness is. Master a color of Magic it is an art that requires study and practice. 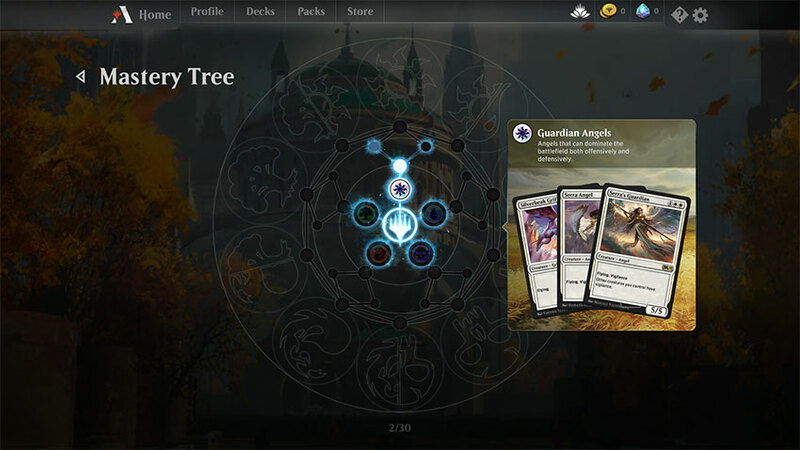 For this reason, in the March update a system will be inserted that will guide the new players to learn more about the 5 colors and the types of decks existing in the world of MTG: Arena. For those who have already completed all the chains for a long time to get the pre-built decks, do not despair, you will not be required to start everything from scratch to get the expected rewards, but once the update is live it is advisable to check your mail to see how to redeem the prizes. The patch with this update is scheduled for March 27, just in time for the Mythic Invitational which will take place at Pax East starting from 28 March. Everything will be live on official Magic Twitch channel where you can cheer on one of your favorite streamer, the whole Magic Pro League or one of the 8 Challengers from MTG: Arena, who will compete for their share of the million dollar prize pool.